After a lengthy, unexpected bus ride through Brooklyn, this guy is sitting across the table from me at a diner reading me the most beautifully crafted, rhythmically sound, sexually provocative poetry I’ve ever heard face to face. No, that’s not a description of my most recent blind date. It’s my weekend interview with Billy Rivera, better known as Accent. When I stepped on this dude’s feet numerous times at a Kinetics and One Love show, I had no idea I was badgering the walking blocks of such an interesting guy. Among the fun facts he shares with me over a chicken salad sandwich and a plate of pickles with hot chocolate (no, I’m not pregnant), Accent admits that he’s a Pokenerd, emo rapper, aspiring wine connoisseur and cat lover. Um..what? Random fun facts aside, Accent is a very dedicated hip-hop artist with plenty to say, both on and off the soundboard. It’s not that I want Accent to be sad and depressed, but if that’s what it takes to get these verses onto paper, I’ll take Emo Probs for $200, Alex. Thankfully, being self-proclaimed emo isn’t the whole of what makes Accent a great artist. He also prides himself on what he calls “perfect rhyme” and attention to rhythm. Don’t get it twisted and think that he’s one of those rappers who only cares how the flow rolls. Accent is a rapper, but first and foremost he’s a poet, even if that’s not always where his emphasis lands. Known well for his work with fellow hip-hoppers Kinetics and One Love, Accent is the only artist to have been featured multiple times on the duo’s mixtape, With A Little Help From My Friends. He’s also had hands in many other collaborations over the years he’s been writing and considers himself to have a sort of “underdog” vibe. 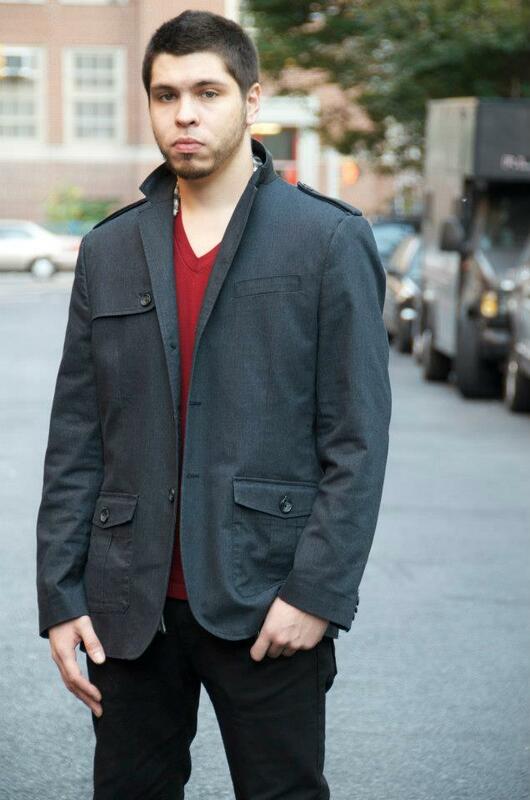 As nasty as he may be in collaborations, Accent’s unique talent lies in his Nuyorican quality. A frequent guest at Alphabet City’s Nuyorican Cafe, he writes and speaks verses with the skill and soul of a seasoned poet. Accent is never one to shy away from aspirations and shares that he plans to spend the upcoming year perfecting a poem for publication. Lucky me, he recited some for me over the diner table. I blushed. Think about what that means for a classy lady like me. The first single, Everybody’s Crazy from Accent’s new album dropped last night (December 5) at 9:00 p.m. and the full EP, Sight and Sound, produced by Kid Vision is scheduled for release exactly a week later (that’s December 12, guys. Come on..do math). After that, prep yourselves for a music video or two and plenty of other collaborations with our favorite rappers…aside from, of course, Accent himself. Kinetics and One Love. Enough Said.